Port Sippers, what a lovely way to spend an evening. Dating back to 17th century Europe, the port sipper, then known as a ?Schnapps Pfeiffe?, was made of ceramic material and uniquely designed so that the spirits were sipped through the stems from the bottom, where they had no chance to oxidize. This enhanced the flavor of wines like port and liqueurs, and still does. 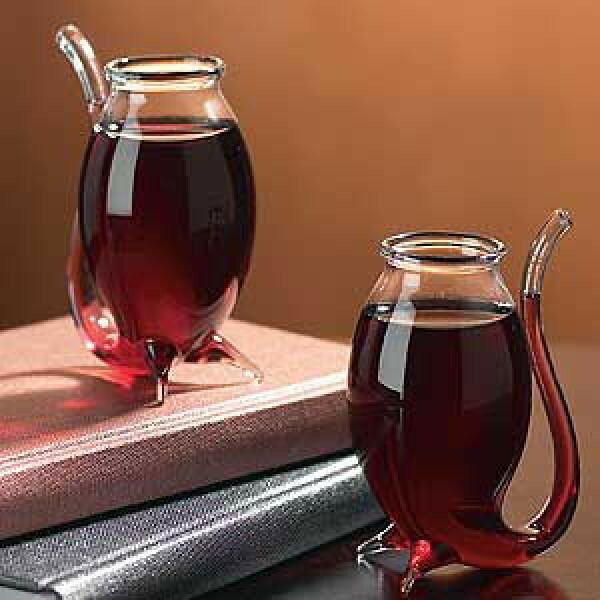 Unexpected pleasures that are uncommonly beautiful, these modern-day sippers are crafted of durable, hand-blown glass. Set of 4. 3.25"H, 4-oz. WineStuff Direct always does a product testing panel before any product is purchased to ensure only high quality product are being offered to our retailer and your consumers. WineStuff Direct always stands behind there customer service, and will provide any POS material possible.